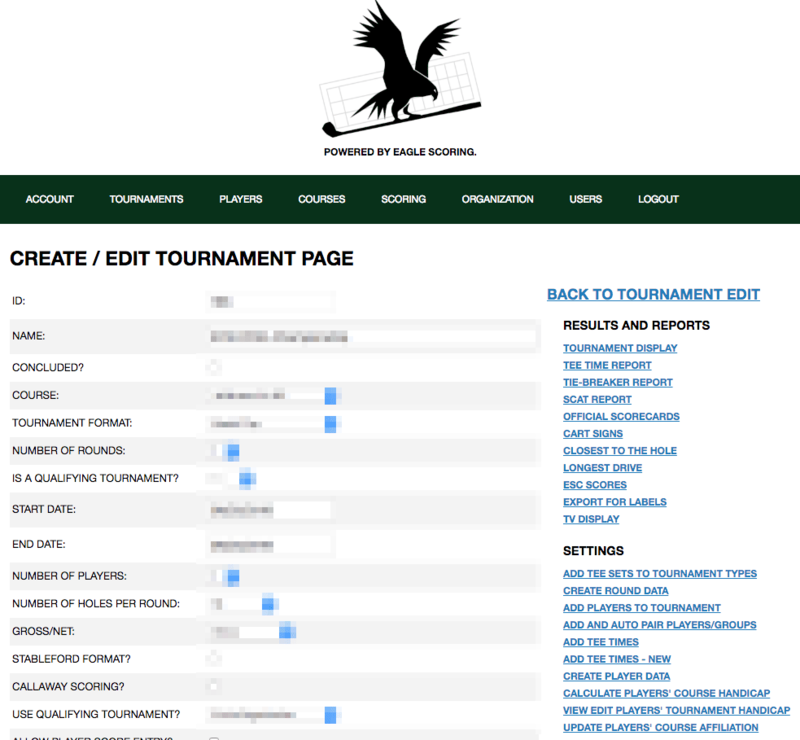 Eagle Scoring | A cloud based golf scoring and tournament system. 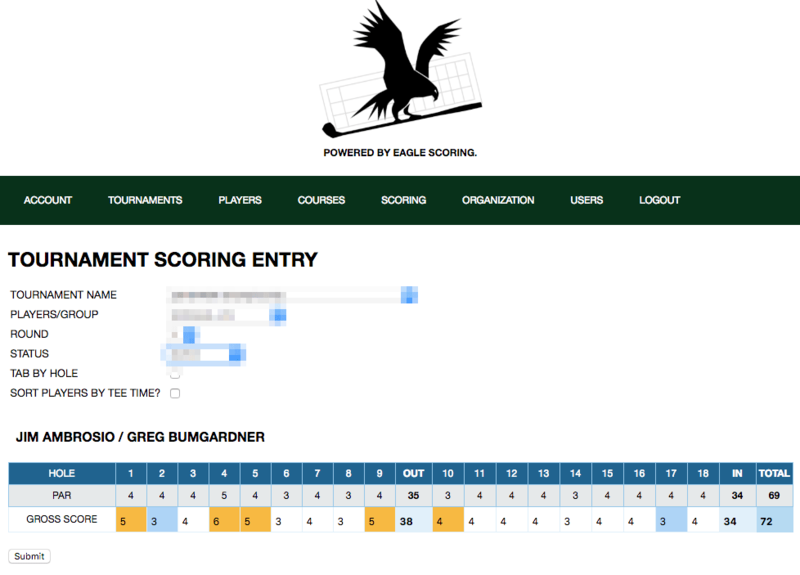 Eagle Scoring is a fully-functional golf scoring management system; for every type of club or organizational golf event, the rich functionality of Eagle Scoring makes administration simple with intuitive and customizable data entry screens, data imports and multi-purposed forms. 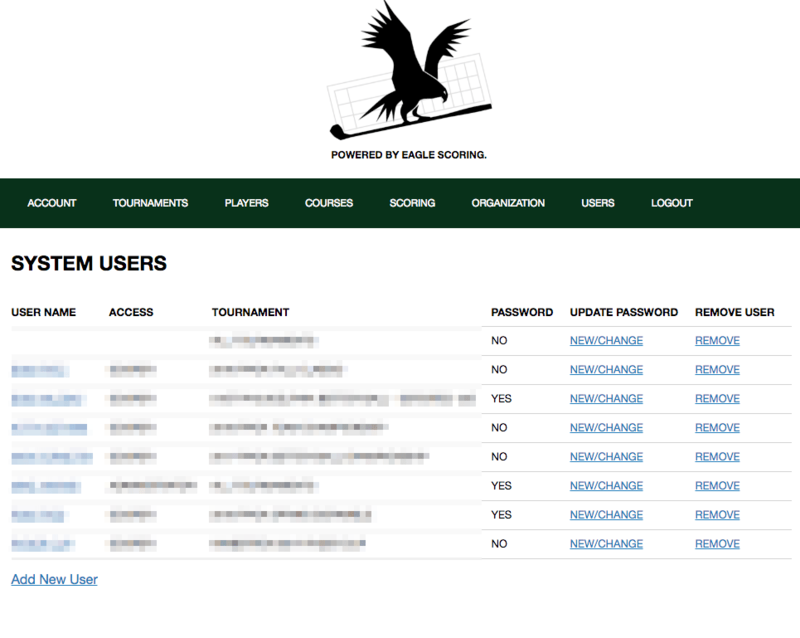 Eagle Scoring is cloud-based, which provides administration and live scoring anywhere, any time, on any device, for tournament events such as Individual, Better Ball, medal play, match play, Ryder cup, Round Robin and more. Click here to contact us for a free trial and to talk about our industry leading pricing. What do you get from Eagle Scoring? 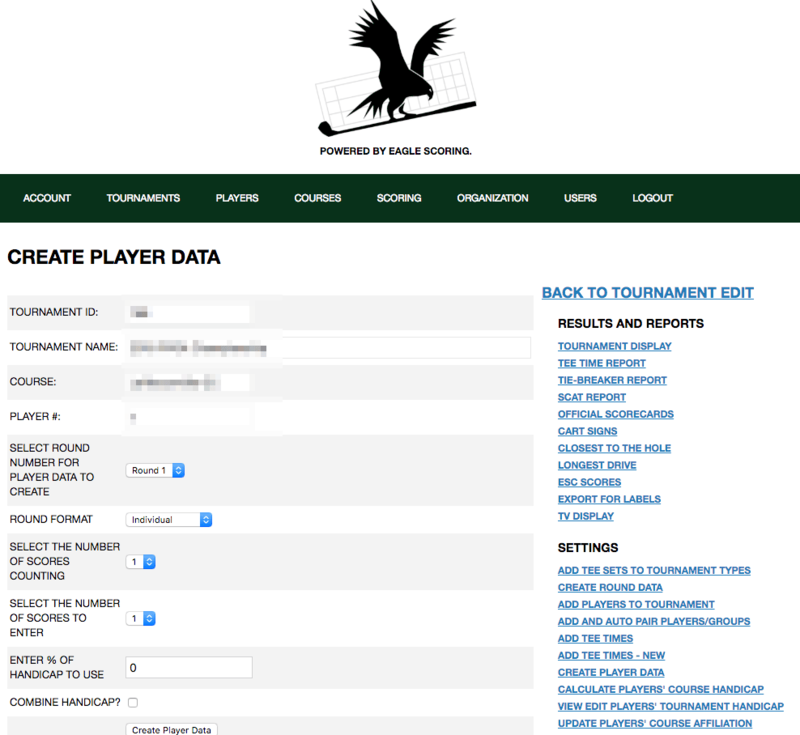 Eagle Scoring can fully manage your players, course affiliations and score keeping history. Create your flights and tee sets and have your tee times set up automatically or completely hand-craft the tournament you are looking for. 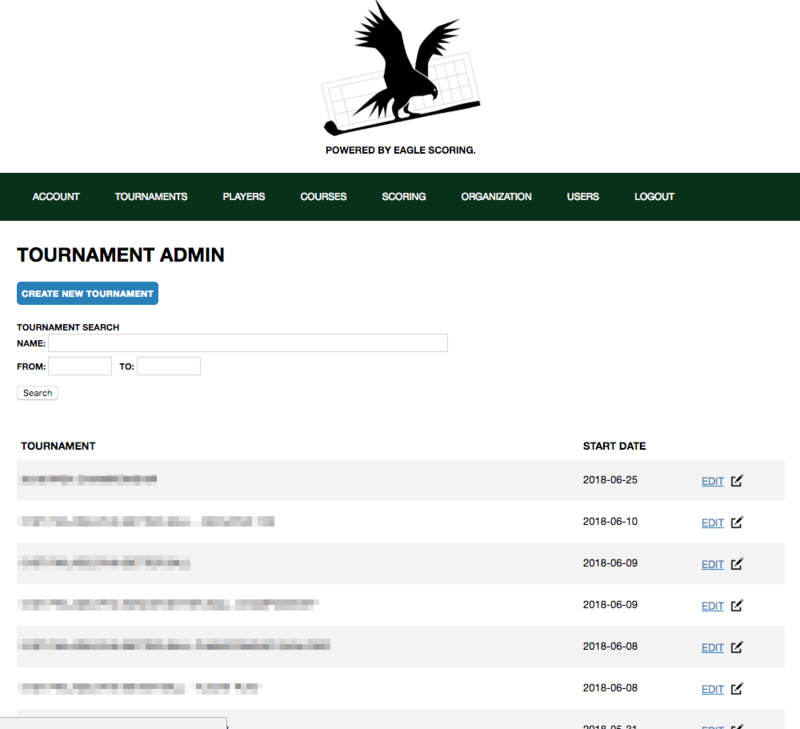 Including cloud based scoring and data storage, pin sheets, tournament based scorecards in multpile formats, handicap calculator, live scoring and tv leaderboards, an incredible easy to use admin interface and our industry leading pricing. Coyright © 2015 - Golf Scoring Systems, Inc.